Are you planning a trip to French Canada soon? Have you considered possibly travelling by train from Québec City to Montréal? 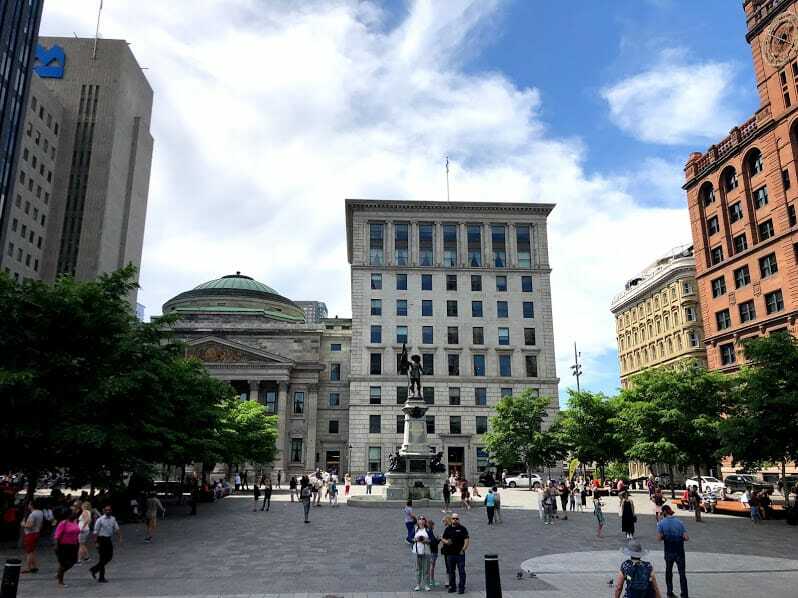 Well below, I’ll be sharing with you my experience taking the train between these two cities using Via Rail Canada, as well as any relevant tips that can ease your travels between these two beautiful Québec-ian cities. The truth is, there really isn’t a lot of difficulty in catching a train from Québec City to Montréal, or vice versa, but I remember as I was planning my trip to this part of Canada a few weeks ago, I wondered how I could visit both cities as easy as possible. Alas, Via Rail Canada (Canada’s main train system) was the first suggestions to pop on my Google search as best ways to get from point A to point B. For starters, both cities are not too far from each other; the train ride lasted around 3 hours and 30 minutes. Québec City has two train stations: Gare du Palais and Sainte Foy. The difference between both stations is that Gare du Palais is the main station, with various departure and arrival trains, while Sainte Foy is a smaller station, and it’s a stop for trains passing by. When booking our train tickets, it was a little difficult at first to try to figure out which was the main train station, or where other people usually went however based on a few reviews online, we decided to depart from Gare du Palais, which is also closer to Old Québec in comparison to Sainte Foy. If you’re departing from Gare du Palais, I recommend (along with everyone) that you should walk around and marvel at the beauty of the building because I meaaaannn….the appearance definitely lives up to the name. On the other end, in Montréal you will find not 1 or 2 but 4 train stations: Montréal Central Station, Montréal Trudeau Int’l Airport, Droval, and Sauvé, which can be confusing at first but if you are looking to go into the downtown area and to the old, historic Montréal, the Montréal Central Station will most likely be your best option. Now, when it comes to actually booking your ticket, below is a guide as to what expect when you are purchasing tickets online. 2– Simply type in your starting and ending destination, in this case you’ll see Québec City and Montréal as the travelling destinations. After that, simply populate the rest with dates, as well as when you would like to travel; morning, afternoon, evening, and then click book now. 3– Now you will have all the options ready for you, this is when things get a little more detailed. Here you will look at your options for that date, and just like anywhere else, you have different prices options, with the least expensive being Escape and the most expensive being Business Plus. Now for this example, keep in mind that I only selected one way. The price reflected on there reflects the one way price and in Canadian currency. Essentially, you could get to Montréal Central Station from Québec City Gare du Palais with 50$ CAD (~$39 UDS). Not too bad. Furthermore, you’ll find train number for each train, the departure times, arrival time to destination as well as the duration of the trip. Simple and easy to follow. 4– Once you select your train, you simply click on circle underneath the price, and then you’ll get a little bit of more information. You’ll find what is available on your train, as well as any other added bonuses or information. After you just go ahead and click continue. 5-Here now you will find your itinerary to review and make sure is correct. You’ll have the departure, arrival times, the class, train number, date of departure (and arrival if were to have been an overnight train journey), as well as the fare details and breakdown. You’ll see that the total would have come out to 56. 34$ CAD (~$44.00 USD) for one way with taxes and fees. 6-Afterwards, it’ll take you to a login page or it’ll ask for a few of your personal details to have you check out as guest, and then you continue to purchase you ticket and voilá! You have yourself a one way to Montréal! You will receive the your ticket via the email address you provided in the purchasing process within minutes of the purchase, and one thing to keep in mind is that they do require a print out of your ticket when boarding. So make sure that you have your train ticket printed out and ready to go the day of departure. The booking process is pretty painless as you can see, and they do have free online cancellation for 24 hours after the purchase of your ticket and before the actual departure of your scheduled train, whichever comes first. see next. Through this, we also become modest and realize how small the places we live in are. I was there, it was fun ! Proud to be Canadian !